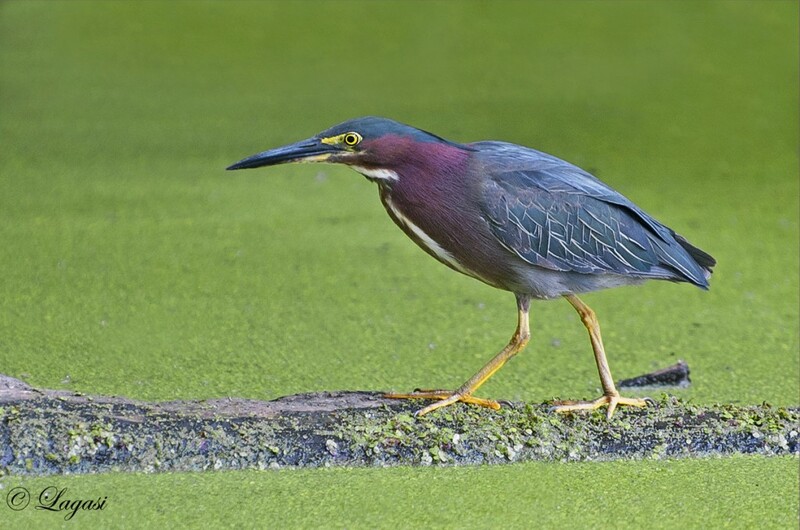 My buddy, Mike, told me that he’d photographed, a rather tame Green Heron, at Mud Lake. 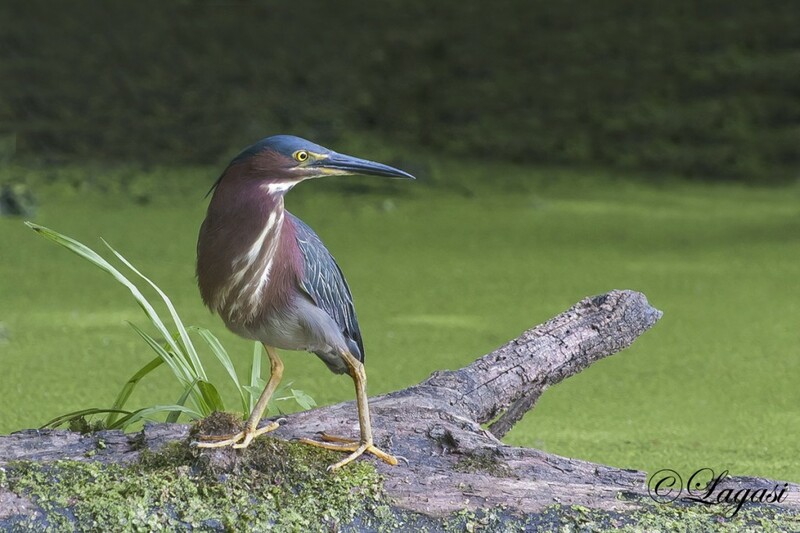 Getting a better image of one of these shy herons was an opportunity I couldn’t pass on. I met Mike and Joe, at 8:30am at Tim’s, grabbed our coffee’s, and we left for Mud Lake. Sitting on my folding chair, sipping coffee and enjoying the morning breeze, we talked camera’s, bird’s and techniques for about 1/2 hour, when out of the south came the heron. 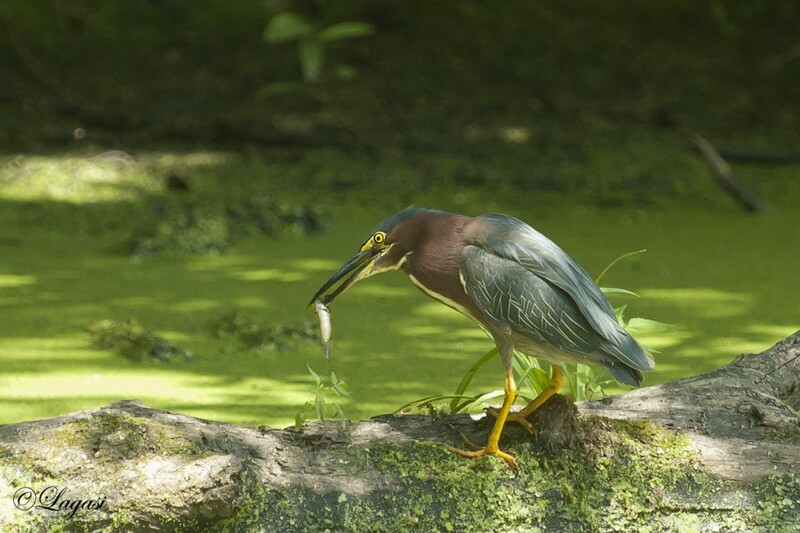 He landed on a log and proceeded to preen, removing parasites, and feathers…cool to watch. Being Sunday morning lots of people walked by and asked what bird it was and every so often the Heron would leave but always returned. It would hop from log to log, feeding. 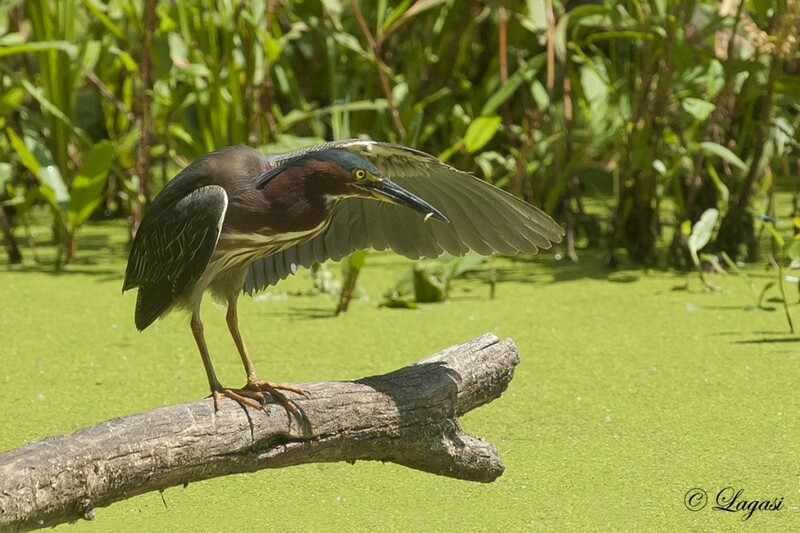 preening, staring at the water…allowing for some lovely camera ops. We sat and watched this beautiful bird for about 4 hours, he often caught fish..some small some large. After a few hours of sitting in the chair, I had filled my cards with images, just waiting to be processed. 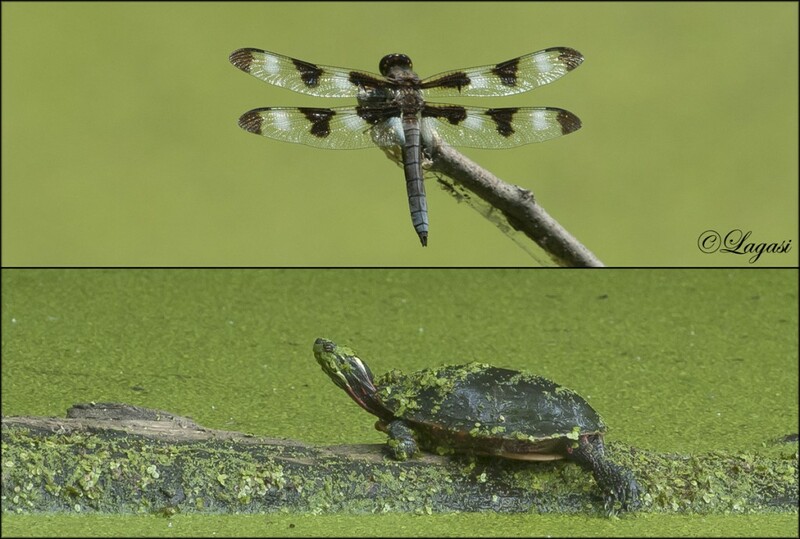 I also had some good luck with turtles & dragonflies that kept landing on branches, during the times the heron was gone.